Just got word that Fish restaurant is the official after party spot for Friday performances of the Rocky Horror Picture Show. 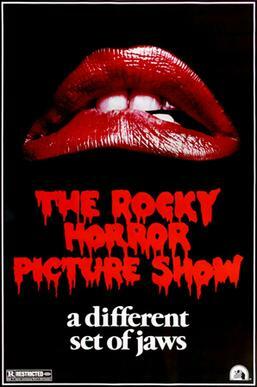 There will be Rocky Horror-themed cocktail specials, music and after-party celebrations. Guests are encouraged to come in costume. The Charleston Ballet Theatre will be putting on performances of the cult classic 'The Rocky Horror Picture Show' on October 22, 23, 29 and 30 -- just in time for Halloween. Now a Halloween tradition in Charleston, Dr. Frank N. Furter and crew take the audience on a fully interactive media experience with a wild ballet interpretation of the cult classic film playing on the big screen behind them! Over the years audiences have come in full Rocky regalia trying to out-do one another and this year will be no exception. Plan your costume now and get your party favors ready. If you have not experience Halloween on Upper King Street and at The Charleston Ballet Theatre then this is a night you won't want to miss! Ready to channel your inner transvestite from transsexual Transylvania? Then get your tickets today.